Veneer Services will offer Raute's technology to hardwood veneer and plywood producers in the U.S. and Canada. 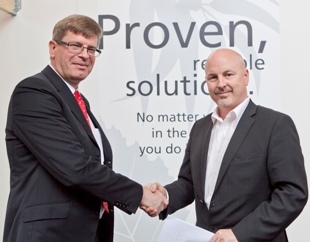 Tapani Kiiski, president and CEO, Raute Corp. (left) and Dane Floyd, president and CEO, Veneer Services LLC, as they announced the agreement. NASTOLA, FINLAND - Veneer Services will now offer Raute's technology to hardwood veneer and plywood producers in the U.S. and Canada. The agreement, reached during Ligna 2013 and announced today, is expected to strengthen Raute's position in hardwood market in North America, where Raute's focus has been on serving the softwood plywood and laminated veneer lumber (LVL) industries. Raute's technology is well established among hardwood veneer and plywood industries in Europe, Russia and South East Asia, and it is competitive in the hardwood industry in North America. In Europe, Russia and South East Asia, Raute says it has a strong position among the hardwood industry as well, but in North America it has not focused on that customer base sufficiently. With Veneer Services as its agent, Raute say its technology will be competitive for North American customers as well. 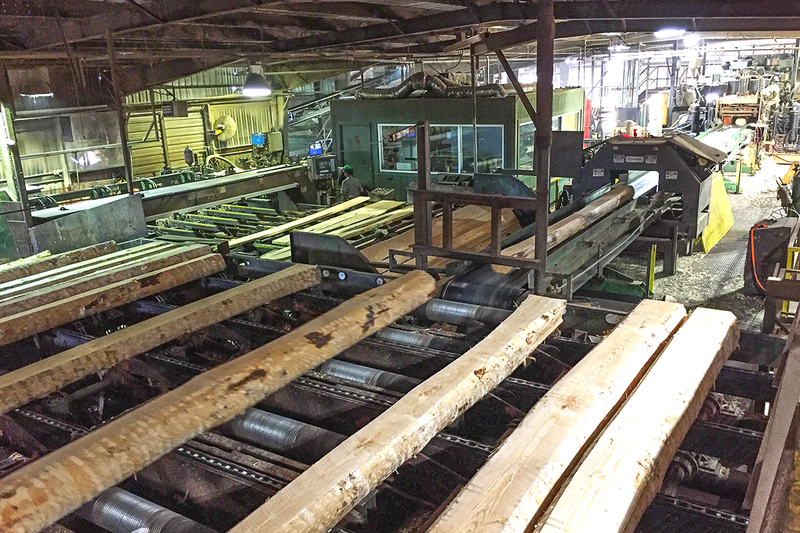 Privately held Veneer Services, based in Indianapolis, has provided machinery and production systems for the hardwood veneer and panel industries since 2000. It recently diversified to reach a wider customer base by developing veneer splicers and gluing systems for secondary processors of veneers and panels - expected to contribute to underlying demand for veneer. The addition of Raute products allows Veneer Services to offer complete mill solutions with the latest technology. Raute - it has 500 employees and reported €101.3 million in 2012 sales - estimates the hardwood veneer and plywood industry in North America at $2.3 billion, with capital investment recovering along with the current improvement in the housing market. Raute and Veneer Services both see large potential in renewing the technology and equipment base of the industry.